Starting a story can be intimidating. There are so many different things to consider! The plot, the characters, the theme…Where to begin? Robin (LeyLinesComic.com & MokoPress.com), Dawn (DawnGriffinStudios.com), Chris (CapesNBabes.com), and Liz (AdrastusComic.com) share their favorite resources and techniques for developing your stories and getting started. Posted in Chat Podcast, Conversations, Featured News, Helpful Hints, Podcast, Writing and tagged beginnings, character design, character development, creative writing, graphic novel, long form, starting your story, theme, writing. Great episode! Packed with good information, and one of the few times I’ve heard “Bird by Bird” referenced outside of a college creative writing syllabus. 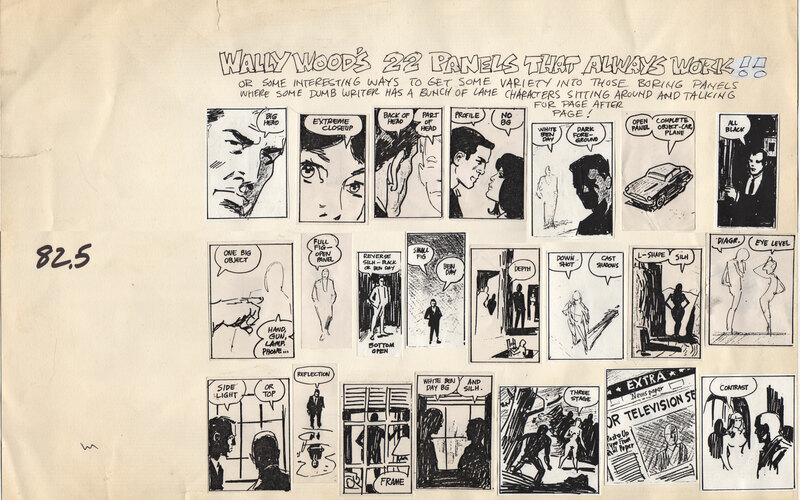 Chris – Thanks for mentioning Wally Wood’s 22 Panels that Always Work. It now adorns the wall above the monitor at my desk. Scrivener is $40. By contrast a competing solution (one I’ve used in the past – long enough ago that the full version was actually free), Celtx is $8.25 per yer if you pay for a full year at once. Billed monthly it’s $10. At $40, Scrivener is a steal! Thanks for recommending this, I went and downloaded the installer as I was listening (paused this incredibly information dense episode while I did so I wouldn’t miss anything). For seriously bare bones planning, could you also use a planning solution like the one available from http://www.trello.com? I’ve used it in the past as a way to keep track of blog post and comic strip ideas, though I pretty much do all of that in OneNote today. Awesome follow-up info, thank you Isaac! I did purchase Scrivener, and am digging through it to see all it can offer. I love the corkboard pushpin option! This was very helpful, thank you guys so much. I’m a college freshman and aspiring comic writer/ character designer/ art major, and I’ve been really struggling with starting my stories, so this episode was very inspiring. I found this website on accident just now, but I’m definitely going to be checking up here often. Thanks! Hi Luke! Happy to hear it was helpful. Have faith in your story and go for it! You are going to learn SO MUCH. If you ever have a question or concern that you’d like to hear our thoughts on as you go, feel free to write any time!